Thinking of joining The Chamber of Greater Easthampton? There are many valuable benefits that you will receive as a Chamber member, most of which are included in your basic membership. ChamberMaster Website and Social Media. At our newly designed 2018 website www.easthamptonchamber.org, you can join or renew your membership; sign up for events and mailing list; post marketplace ads, special offers, press releases and notices of your events; provide Member2Member discounts; search for members; and much more. Our Facebook page spreads the news about our members by sharing selected posts. Online Membership Directory. Your business contact information and social media links are listed on our website on the Business Directory page, giving you greater exposure on the Internet beyond your own business website. And you can decide to purchase an “enhanced listing,” which gives you even more visibility via online search engines, by enabling you to post photos, hours of operation and links to your products and services; map your location; add names of contact people; and other functions you would normally find on a website (see an example here). Chamber Monthly Newsletter. Sign up to be on our mailing list to receive our monthly online newsletter, full of member and area news articles, event notices, and links to important resources. Contribute your own “Members Teaching Members” article for greater exposure. Constant Contact Email Marketing program. Members are eligible for 20% off a 6-month subscription or 25% off an annual subscription of Constant Contact®, a powerful email marketing program, plus a free 60-day trial. Table Top Expo and Hampshire County Business Bash. These two multi-chamber trade shows, one in the spring and one in the fall, will allow you to market your business to thousands of visitors and network with hundreds of other Chamber members. Women & the Art of Risk. A multi-chamber collaboration, this annual women's leadership event features workshops, discussions, and career development opportunities, all led by distinguished women from the Pioneer Valley. Monthly Networking Events. “Networking By Night” occurs on the second Thursday of each month at various Chamber member locations, providing great opportunities for you to build your professional relationships. Consider hosting one or being a sponsor, also. Educational Speakers and Workshops. Our Speaker Breakfast in the spring and other skills workshops throughout the year provide great opportunities to build your business skills while networking with other members. Celebrations. Our annual member “Celebrate Success & Business Awards” dinner brings us together to recognize outstanding business performance and milestones. And we’re not just about business; throughout the year, we offer social events, such as our holiday Snow Ball and springtime Wine Tasting, to just enjoy one another’s company and that of family and friends. On-street Window Display. Sign up for a free window display ofyour products and services for a full month, at the Chamber office on Union Street, Easthampton. Marketing Displays. Display your promotional materials (business cards, rack cards, etc.) in the Chamber’s office on Union Street. BusinessWest Magazine. 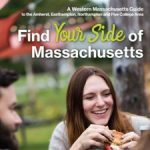 Free subscription to BusinessWest, a bi-monthly magazine covering a wide variety of topics of importance to businesses in Western Massachusetts. Medallion-level Memberships. Our four highest levels of membership allow businesses to know at the beginning of the year what their total Chamber investment will be, and to receive additional marketing opportunities, sponsorships and recognition in our communications. Event Sponsorships. All our events are open for individual sponsorships, for extra marketing exposure. Volunteers and Leadership. Join a committee, volunteer at an event or become a board member—these are all perfect ways to get to know the membership as a whole and to make significant contributions to the decision-making process within The Chamber.